Disney Halloween hình nền. 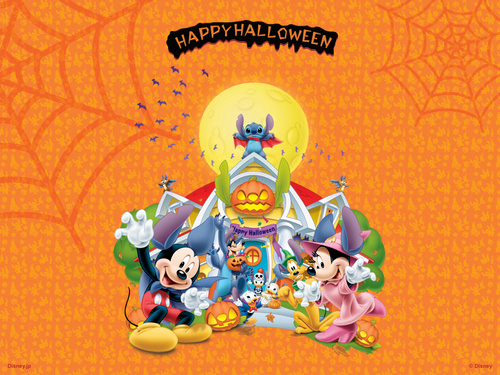 Disney Halloween wallpaper.. HD Wallpaper and background images in the Disney club tagged: mickey mouse halloween disney characters holiday wallpaper. This Disney wallpaper contains anime, truyện tranh, phim hoạt hình, and manga. Halloween will be here before we know it! So happy you like it!